UFC president Dana White elaborated on the harsh comments he previously made about his long-time amigo Chuck Liddell. Although he feels that Liddell isn’t completely done, the outspoken promoter simply feels that Liddell has done all that a man can do inside of the Octagon. Last month, White told the Canadian press that because Liddell has dropped three of his last four, he put the 39-year-old on notice that a sub-par WIN against Mauricio “Shogun” Rua at UFC 97 wouldn’t be enough. “I’m not even saying if he wins (because) unless he looks incredibly impressive – I mean, he’s going to have to go out there and dazzle me for me to want Chuck to still fight,” White previously stated. However, during this week’s UFC 97 press conference, White backpedaled a little bit from his original statement. “I think early on when I first made that statement publicly, it got blown out of proportion,” White said. “Kind of like most of my public statements. And what exactly was discussed during their friendly conversation? Although most media outlets may not be buying it, The Iceman and White do appear to be on the same page. Liddell claims that he has already found a way to put an end to all of this retirement nonsense. That game plan sounds great and all, in fact it is the exact same strategy the slugger has always had, but Liddell hasn’t been able to execute it since he TKO’d Tito Ortiz in late 2006. 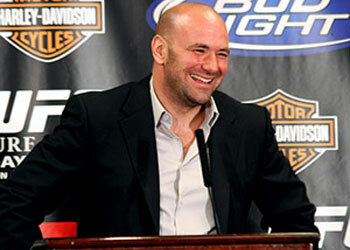 So Dana, hypothetically, what happens if The Iceman gets knocked out cold again on Saturday? “As a friend (of Liddell’s), I’m not going to run backstage and say, ‘You’re done, it’s over, beat it, and get lost,'” White said. “We’ll sit down and talk after the fight on Saturday and see what happens.